Last week, myself and Kirstin (Health Marketing Officer) attended the Future of Community Pharmacy event. 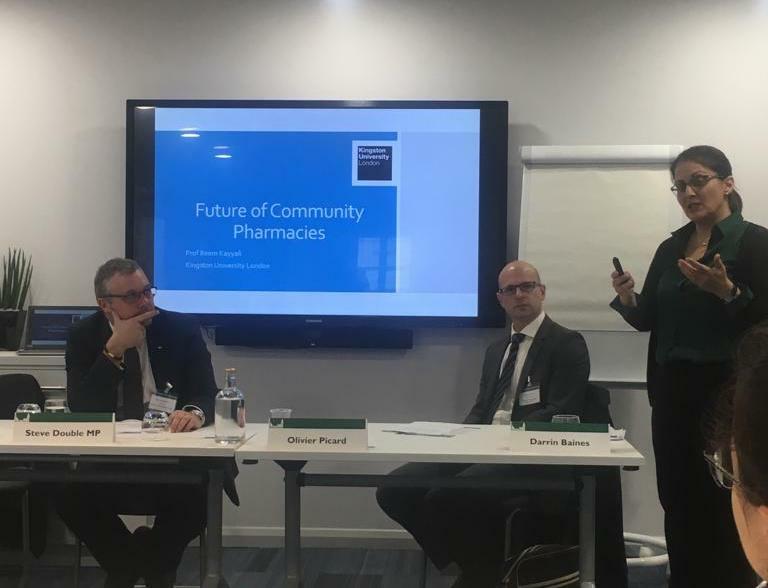 This was a fantastic opportunity for us to speak with, and learn from, passionate people in the sector who had different interactions with community pharmacy. 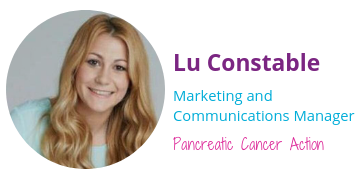 Pancreatic Cancer Action strongly believe that pharmacy teams play a vital role in helping to aid early diagnosis of pancreatic cancer. We’re keen to ensure that our campaigns and communication for pharmacists are relevant and useful. We were also interested to find new ways we can promote our resources to pharmacist. 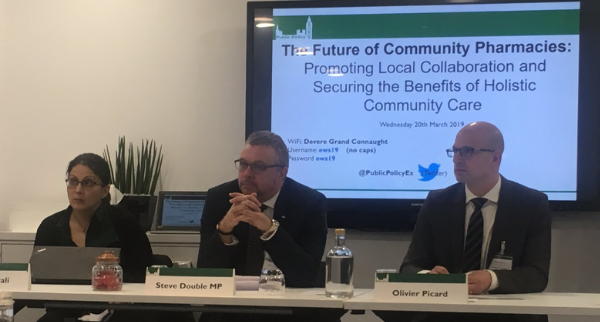 Steve Double touched on the fact that community pharmacy can make healthcare more accessible, particularly in rural areas – a health hub for that community when other areas of the healthcare system aren’t readily available. The average waiting time to see a pharmacist is 8 minutes (and in many cases considerably less) and there’s no other part of the NHS where this is the case. It’s also the only part of the NHS that is free for patients to spend time with a healthcare professional.